Of all the complicated systems in your car, the braking system may be the most important of all. Responsible for ensuring that you can stop the car from any speed, the braking system has quite a few components and there’s no clear mileage as to when you need new brakes. While you may not look at them often, the brakes are incredibly important to your wellbeing. 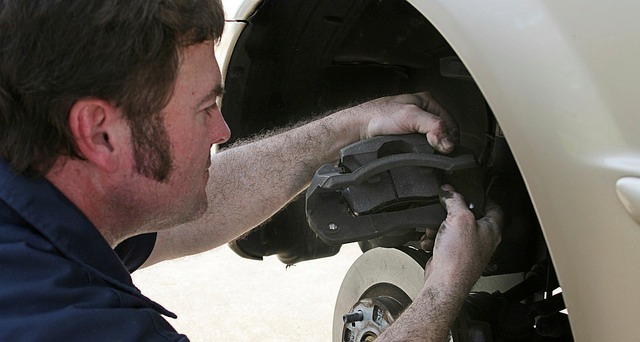 Here are several signs you need new brakes. Pulling – If your vehicle pulls to one side when braking, it’s a sign that there’s something wrong with the braking system. Whether the linings are wearing unevenly or there’s something in the brake fluid, it’s worth a trip to the dealership’s service department for an inspection. Better safe than sorry, after all. Vibrating – A vibrating brake pedal isn’t normal and can signify two things: a vehicle out of alignment or warped rotors. If your brake pedal vibrates when the anti-lock brakes aren’t engaged, odds are your rotors are warped. Take your car in for service right away. Screeching – A loud, high-pitched screech, squeal, grinding, or growling is an indication that the brake pads need to be replaced. If you wait too long, the scratching of metal on metal could cause damage to the rotors, requiring repair or replacement altogether.